-- Select a Size/Color -- Petite - Out of Stock! Small - Out of Stock! Medium Large - Out of Stock! X-Large - Out of Stock! 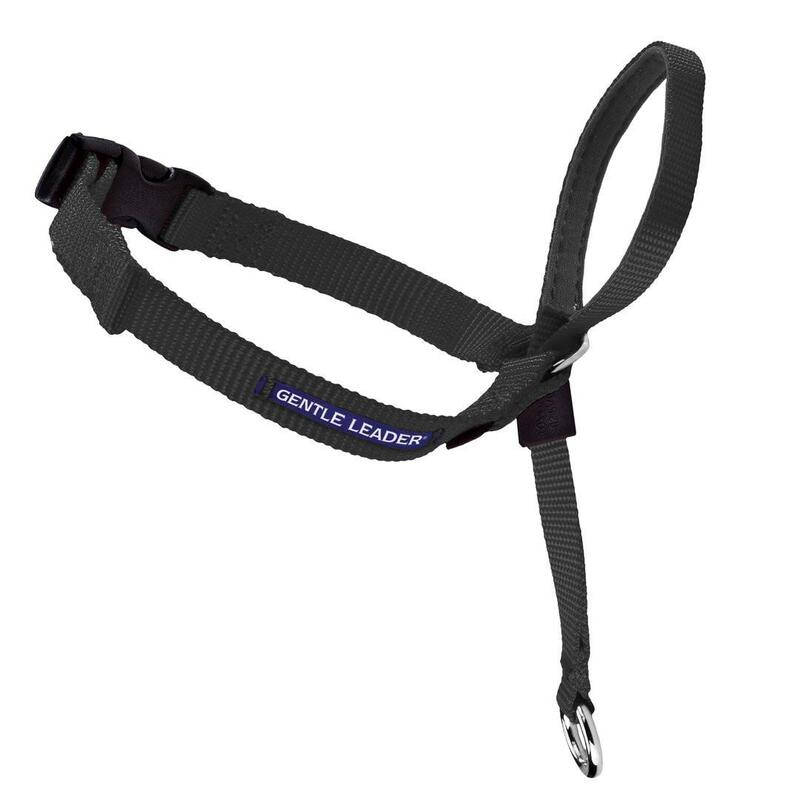 Break your dog's bad habit of pulling while on leash with a Black Gentle Leader Headcollar by PetSafe. 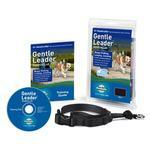 The Gentle Leader is a positive, safe and no-pain way to immediately eliminates pulling on the leash. 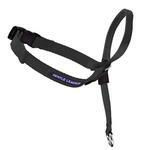 Your leash (sold separately) clasps to a loop just under the dog's snout, which allows you to steer the dog's nose. With the Gentle Leader, when you steer the dog's nose, you steer the dog's body. Sizing by breed is only a recommendation. We suggest measuring your dog to get the ideal fit. Petite - Dogs under 5 lbs. Nose loop: 3.5-8", Neck: 6-8.5"
Small - Dogs 5-25 lbs. (Beagles, Shelties) Nose loop: 7-15", Neck: 7-9"
Medium - Dogs 25-60 lbs. (Dalmatians, Spaniels) Nose loop: 9-19", Neck: 9-14"
Large - Dogs 60-130 lbs. 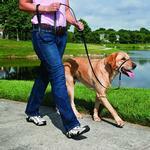 (Danes, Golden Retrievers, Labradors) Nose loop: 11-24", Neck: 10-18"
X-Large - Dogs greater than 130 lbs. Nose loop: 12-28", Neck: 11-24"
Gentle Leader Headcollar - Black Customer Photos - Send us your photo! Since Juju is a Husky (born to pull), this no-pull collar really helps! Excellent selection and customer service. They reward you well for participating. Love it!